There are several reasons for why Kingdom Hearts 3 is still in development this many years later, but one of them has to do with an engine change after a year of work. The decision to change the game from an internal engine to Unreal 4 meant that the studio had to start over on a lot of things. That said, Nomura added that the decision “had to be made”, though he didn’t say why. Nomura made it sound like, as a result of this setback, members of the Kingdom Hearts 3 team had moved to other projects within the company, which also interfered with the schedule. 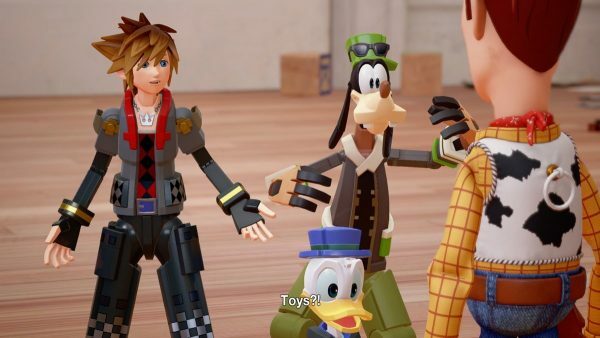 Nomura and co showed off the game’s new Toy Story world at D23. Commenting on the number of available worlds at launch, the director said the number will be lower than previous games, but each world will be more dense. Disney’s D23 expo also brought us a new look at Star Wars: Battlefront 2, and some details about Insomniac’s Spider-Man. Kingdom Hearts 3 is out sometime in 2018.